Donatella Versace and Victoria Beckham are among the stars paying tribute to fashion designer Karl Lagerfeld following his death. Chanel, where Lagerfeld was creative director, confirmed his death to the Associated Press. He died after a period of ill-health and was around 85 years old. Lagerfeld’s date of birth has long been unclear, as it was previously widely believed to be 1933, although it is listed as 1938 on his official website. In 2013 he told Paris Match magazine that he was born in 1935. Versace led the tributes to the designer, writing on Instagram: “Karl your genius touched the lives of so many, especially Gianni and I. Actress Diane Kruger posted on Instagram: “Karl….. I cannot tell you how much you meant to me and how much I will miss you. I will never forget your kindness towards me, your laughs, your imagination. Model and TV star Alexa Chung said: “Rest in peace, Karl. I remember being so scared to interview you and yet you were in fact incredibly witty and generous. Singer Lily Allen remembered the designer as a “true genius”, writing on Instagram: “You made me feel like a princess. The acclaimed German fashion designer had been at French luxury brand Chanel since 1983. His death comes after he missed the Chanel haute couture show in Paris in January. Lagerfeld was also the creative director of LVMH-owned Italian fur and leather goods fashion house Fendi, as well as his eponymous fashion label, which he opened in 1984. 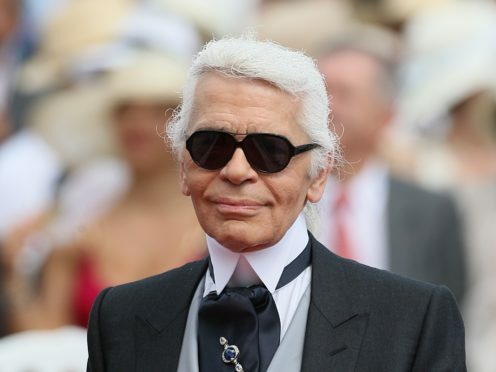 Bernard Arnault, chairman and CEO of LVMH, said: “With the passing of Karl Lagerfeld we have lost a creative genius who helped to make Paris the fashion capital of the world and Fendi one of the most innovative Italian houses. “We owe him a great deal: His taste and talent were the most exceptional I have ever known. Artistic director of Jean Patou in 1959, creator of Fendi since 1965, member of the LVMH Prize jury since its creation in 2013, he honoured the LVMH group with an extraordinarily stimulating creative and entrepreneurial friendship. “I will always remember his immense imagination, his ability to conceive new trends for every season, his inexhaustible energy, the virtuosity of his drawings, his carefully guarded independence, his encyclopaedic culture, and his unique wit and eloquence. Fendi’s next show is due to take place on Thursday during Milan Fashion Week. Lagerfeld had also worked for Chloe and H&M, and was an acclaimed photographer, having gone behind the lens for a number of high fashion magazines and for his own fashion campaigns. Regarded as one of the most important fashion visionaries of the 20th and 21st centuries, he was known for regularly wearing sunglasses and a black suit with a white shirt, and with his grey hair pulled back into a ponytail. According to fashion industry trade publication WWD, Lagerfeld will be succeeded by Virginie Viard – Chanel’s fashion creation studio director. She has been entrusted to continue Lagerfeld’s work at Chanel, having closely collaborated with him for more than 30 years.